We're hitting the road this summer for a few fun trips with the kids, and we couldn't be more excited! Last summer, it was a little tricky to plan trips with our youngest on a fairly demanding nursing schedule. Now that he's a little over a year old, he's more laid back and ready to travel! Plan the bulk of your travel time during baby's normal nap time / sleep time (if possible). It will make for a smoother ride for everyone! Pack a few NEW small toys in a bag for the car. A new toy will buy some time on the road, as your little one quietly explores their new gadget. Mood Music! Bring along a soundtrack that you're little one knows and loves! My little guy loves Sesame Street songs so, we rock out to Elmo's Greatest Hits on long car trips. It keeps him content by providing a familiar predictable element, in an unfamiliar situation. Traveling is more fun with a companion! If possible, have a parent or sibling sit alongside baby in the backseat. READ! Pack your child's favorite board books. They can look at the pictures if they're riding solo in the backseat, or if they have a parent or sibling riding alongside them, read aloud. Alternate activities in 10-15 minute intervals during your car trip. This will keep baby's attention averted while en-route. play your child's favorite music and sing-along, read books, play games (such as peek-a-boo or look through sight words/colors/shapes flash cards) etc. Pack convenient squeeze snack pouches for baby to snack on in the car. Baby shouldn't eat anything solid while the car is in motion. It can pose a choking hazard that you won't be able to respond to adequately in a moving vehicle. So, snack squeeze pouches with pureed snacks are your best bet while en-route. Plan out your pit stops ahead of time. It adds another predictable element for baby and you, when you know when your next exit is coming up. Less isn't always more when it comes to baby. Pack extra...of everything, just in case. It's better to be over prepared than caught off guard without something that you need. Everything tends to be pricier when traveling. You'll save a ton of money, time, and your sanity by packing extra clothes, pain reliever/fever reducers, a thermometer, snacks, toys, etc. 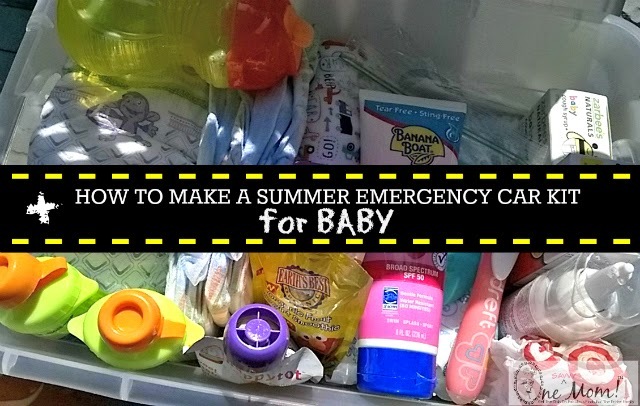 Pack an emergency summer car kit for baby. This is a great stash to have at the ready when hitting the road for travel. It's also equally as handy to keep a box packed with essentials when you're not traveling. You just never know and it's better to be safe than sorry! Traffic jams, impromptu diaper blowouts ... things come up when you have an unpredictable little human to care for! Be ready with a fully stocked kit ready to tackle whatever curve-ball baby/life throws your way. See our list of essentials to include in your summer emergency car kit below. Keeping a stash of item's in your car for baby whether for long road trips, or those just-in-case scenarios is always a great idea! I can't tell you how many times I've walked out the door without something essential; including my entire diaper bag on more than a few occasions! To add insult to injury, I usually don't realize it until I'm too far away to turn around. Which can become costly and time consuming to say the very least! 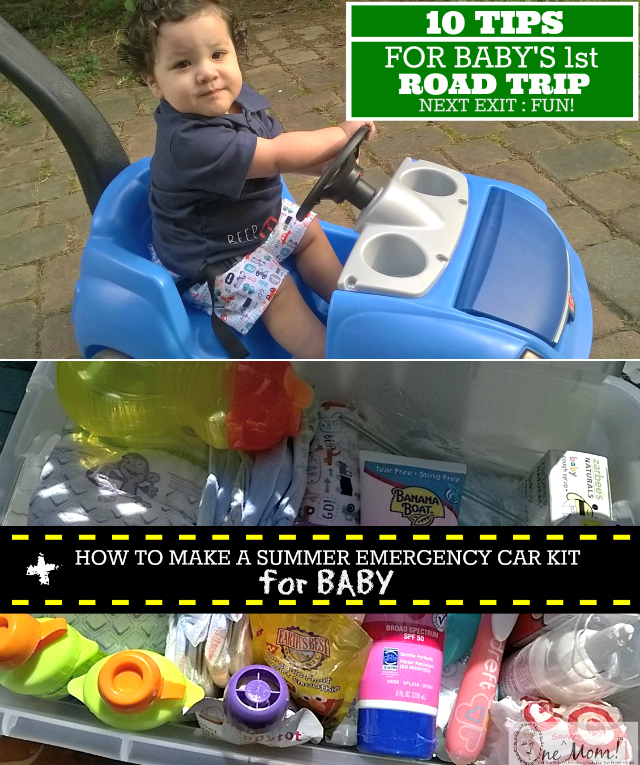 Keeping an emergency car kit for baby (updated with items for each season) saves a ton of time and money. It's great as a busy mom of 3 to have a little peace of mind in knowing that I have everything on-hand when away from home, just in case! 6-8 swim diapers- Because you never know when an impromptu opportunity to swim will present itself in the summer! Dreft Pen stain remover (we love the scrub tip! Great to clean any potential stains from baby's clothes from diaper blow-outs, food spills etc.before they set ). Reusable/washable squeeze pouches (when toddler options aren't available at restaurants or you run out of pre-packaged squeeze pouches, these come in handy! 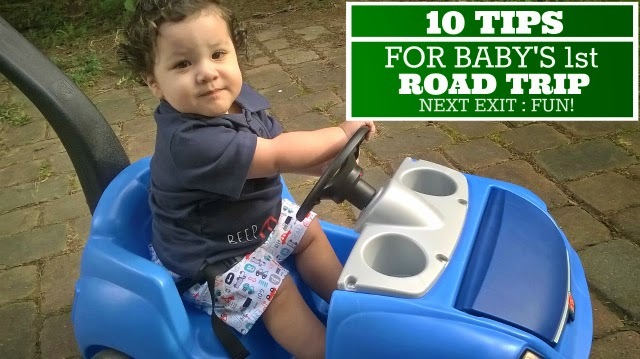 Need to stock up on items for your next big road trip with baby? 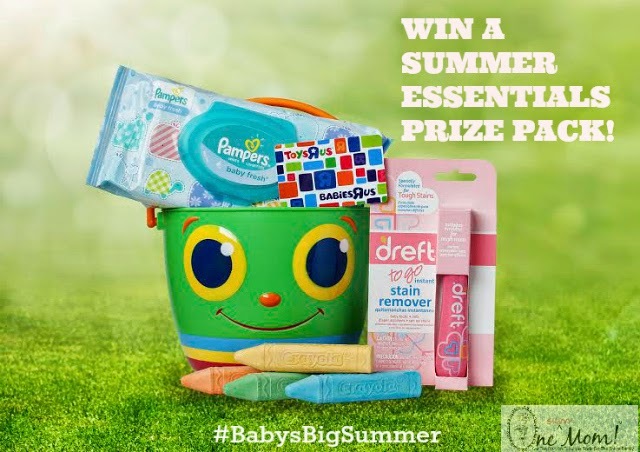 Ready to put together an emergency summer car kit for baby? 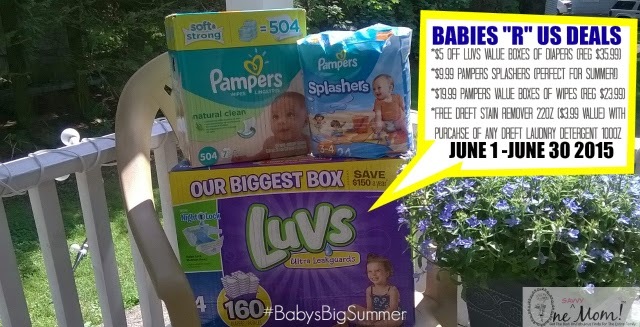 Babies "R" Us has some amazing deals running from June 1 -June 30th that you won't want to miss! It's the perfect time to stock up on LUVS Diapers (they're my brand - I've definitely "lived and learned" as a mom of 3! 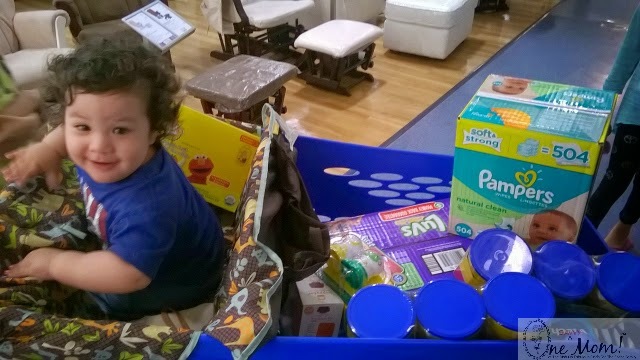 ), Pampers Wipes, Pampers Splashers Swim Diapers, and Dreft laundry detergent. 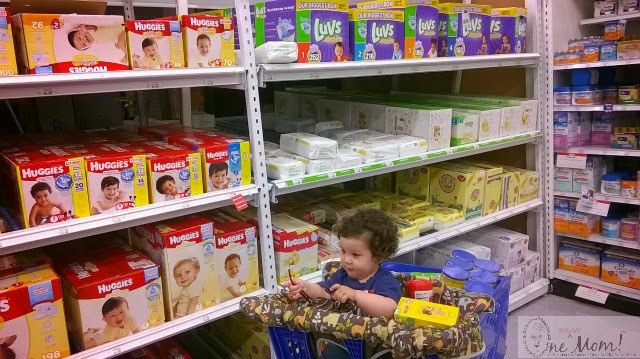 Babies "R" Us is our "happy place"! Can you tell? Where are you headed this summer? Tell us in a comment below! Entry is simple - you can enter through the Rafflecopter form below. **//Disclosure: Prizing and the equivalent was provided for the writer and for (1) One Savvy Mom reader, by the sponsoring brand(s). Regardless, all opinions expressed are our own. We are headed out to Dallas Texas this summer. We are visiting family and looking forward to the downtown area. We are headed to the beach in FL near Destin! We can't wait! We are taking a short vacation to Myrtle Beach before we have our baby. We are headed to Indiana for some concerts this summer.. cannot even wait! Also to Chicago for the big Grateful Dead Fare Thee Well Shows. We are going to the NJ Shore. No plans for a vacation but spend lots of time at the park and lake. I am traveling down to Georgia to attend my cousin's wedding. We are visiting family out of town. Not far, i'm sure we'll go camping a couple times though! we are doing absolutely nothing. Nothing can be fun too :) Sometimes I wish for days when I can just relax and enjoy the sunshine .... have a great summer! We are staying around home waiting for our little one to arrive. We are heading to Florida in August! So excited to spend time on the beach with family! We are going to Yellowstone! We're going to Norway to visit good friends! We are planning to spend a lot of time at the beach this summer. We are heading to Little rock to visit my 96 year old uncle sometime this summer. I am having more of a staycation this summer. We will be visiting family in Florida at the end of July. We are headed to Tampa, Florida this summer to visit our friends! We aren't going on a vacation this summer because we'll be moving in a couple weeks. Once we purchase our home we'll just stay home and relax! We're headed to the Grand Canyon! We are going to take the kids to the great escape this summer. They love it. I'm going to NYC this summer! I am going to Tampa, FL to visit my parents. If I get well, I will be heading out-of-state to go see my grandkids.